If you have multiple publishing targets, it is always good practice to set proper permissions to either disable or completely hide some of them for particular content editors. 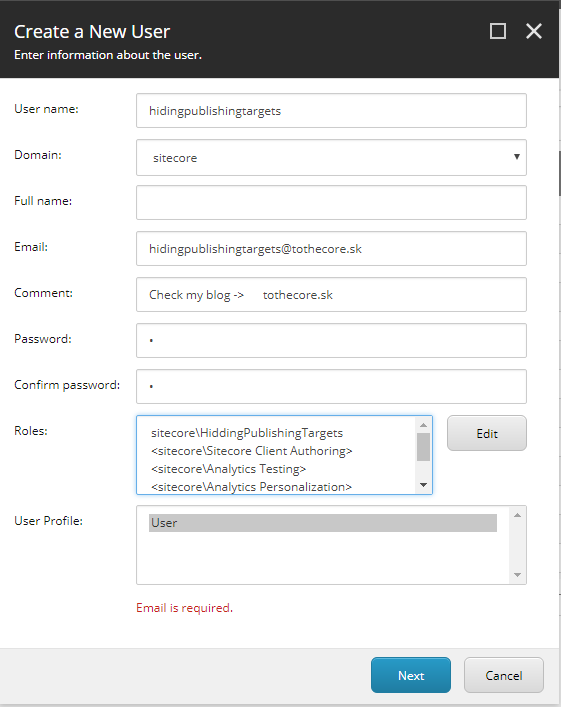 Multiple publishing targets can be used when you have Staging, QA or other type of environment to push content there. 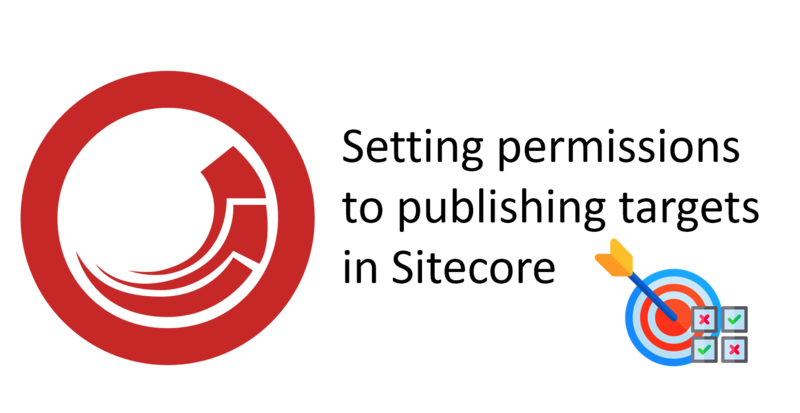 Public facing servers or Content Delivery (CD) servers are then using these alternative publishing target databases instead of default “web” database. 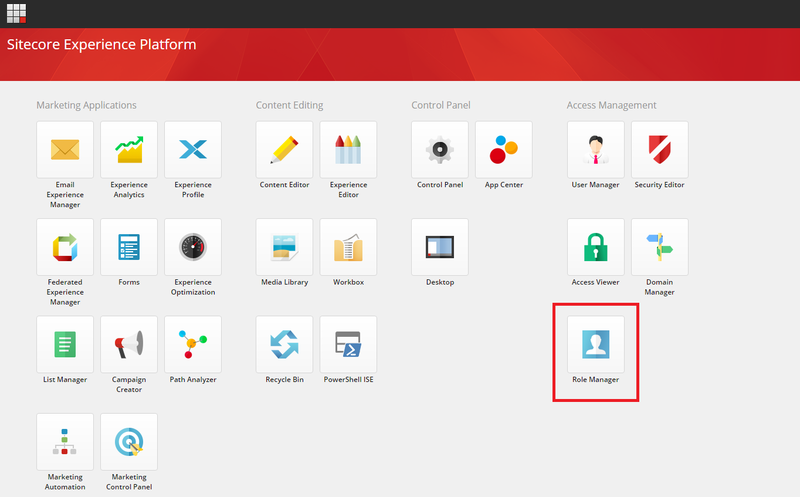 This post will help you set these permissions step by step. First things first – you need to create new publishing target. If you haven’t done so, you can follow my blog post to help you out. 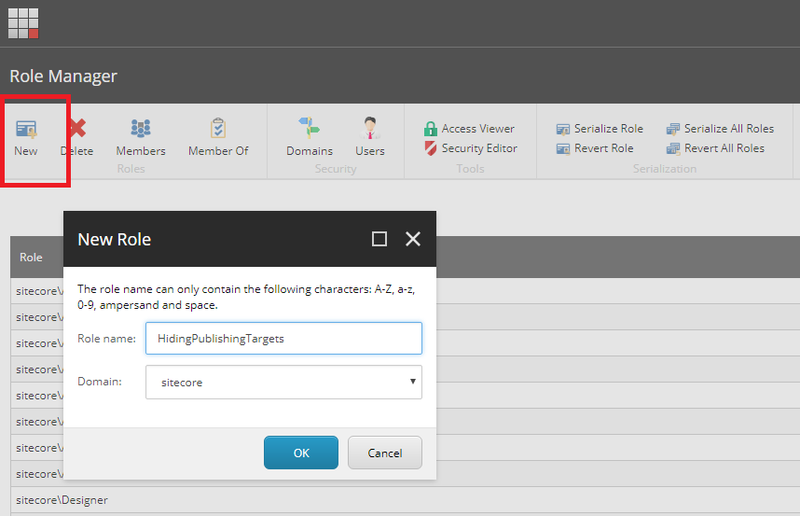 Let’s create “HidingPublishingTargets” role which we will use to set permissions. 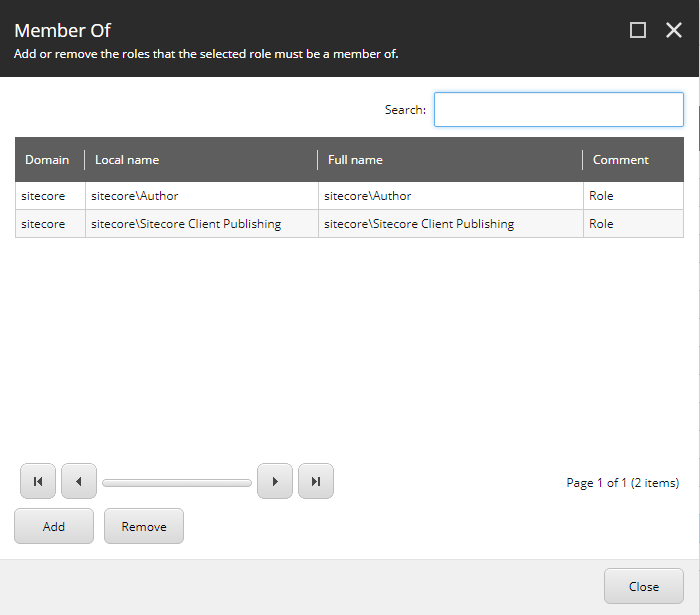 It is always best practice to create roles, set permissions on them and then assign roles to users. You shouldn’t set permissions on user level. 3.2. Click “New” button in toolbar in Role Manager and specify role name. In my case it was “HidingPublishingTargets”. 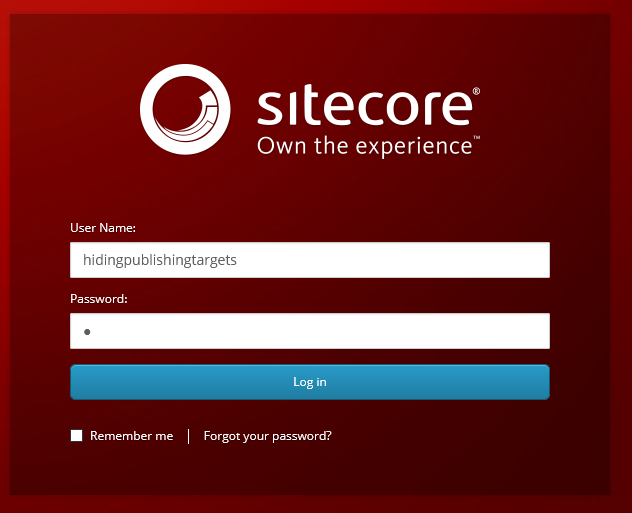 You can leave domain as it is on sitecore. You can specify any roles that are needed in your case. I have decided to use these two. 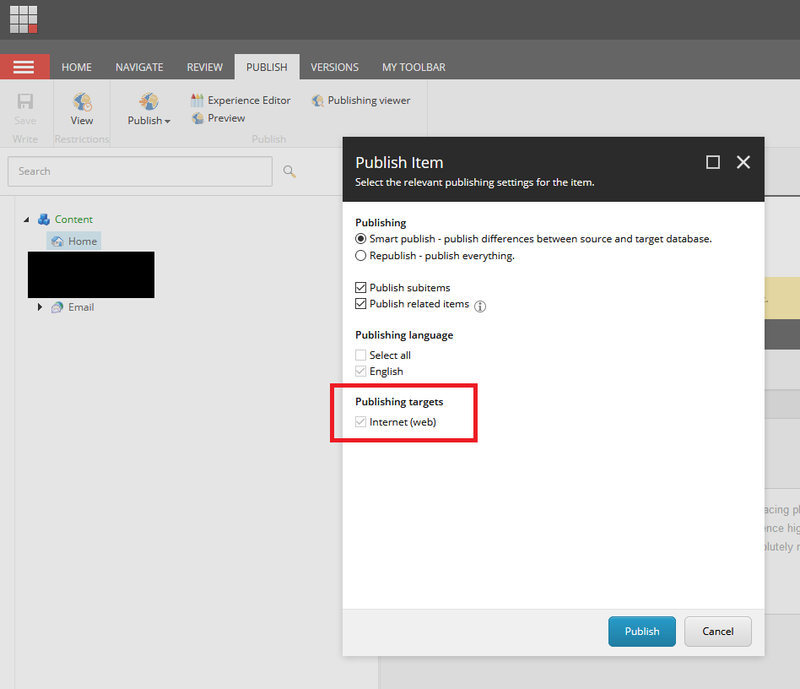 “Sitecore Client Publishing” role is particularly needed to have access to publishing features in Sitecore Ribbon in Content Editor. 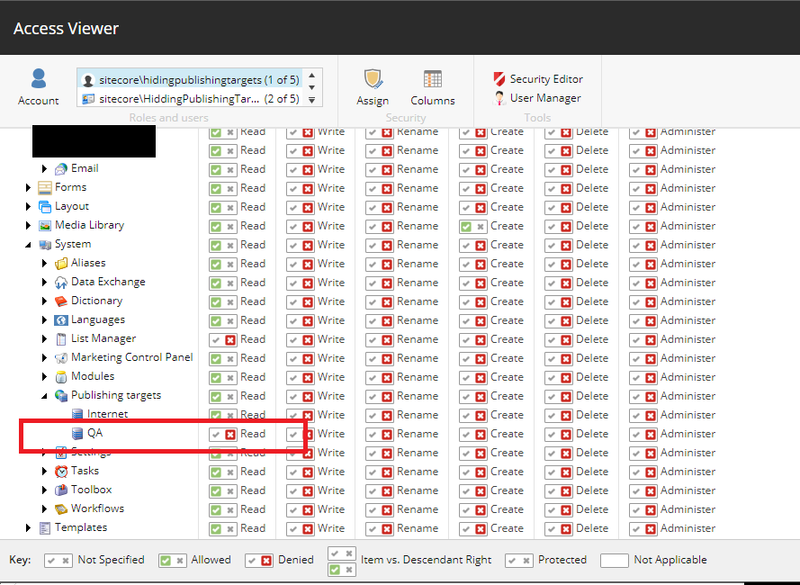 To set permissions for a role, you need to open Security Editor. 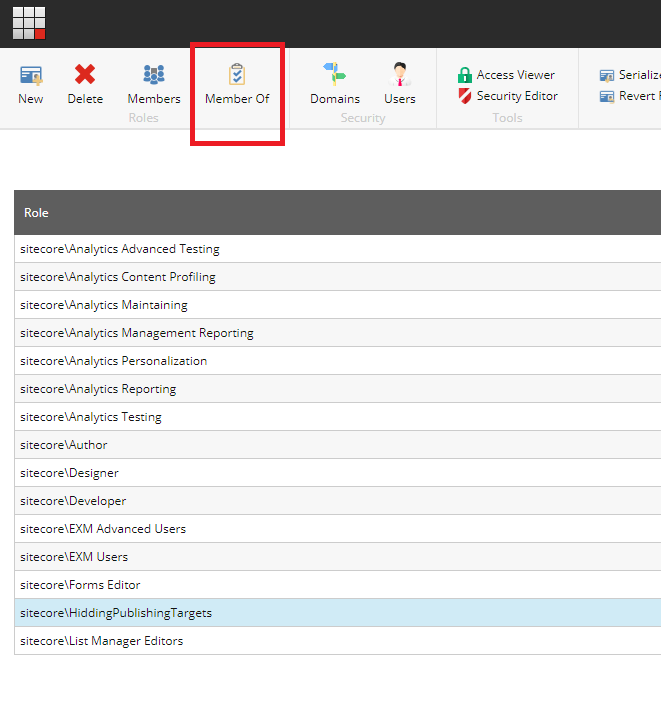 Choose your role and navigate in content tree on right side to /sitecore/System/Publishing targets. 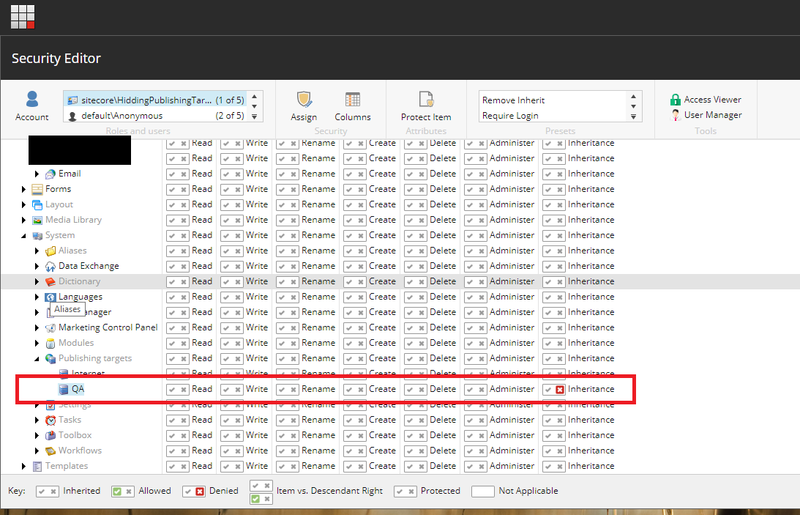 Click on one of publishing targets that you want to set permissions on (for me it was QA) and click on X in Inheritance column. 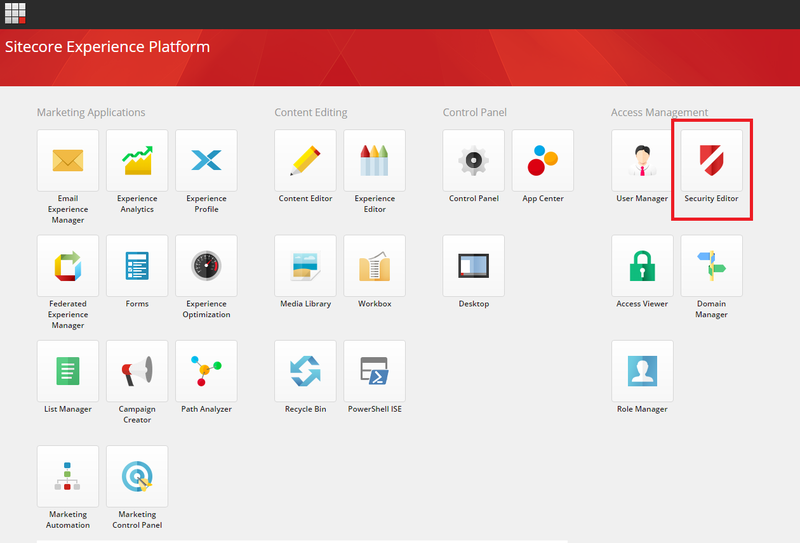 X will be highlighted with red X icon. With this action, you have explicitly broken inheritance of permissions. In other words, permissions won’t be inherited for this item for this role and therefore anybody with this role won’t have any permissions for this item anymore. As we want to hide this publishing target from that role, our job is done. We don’t need to set “Read” or “Write” permissions here. 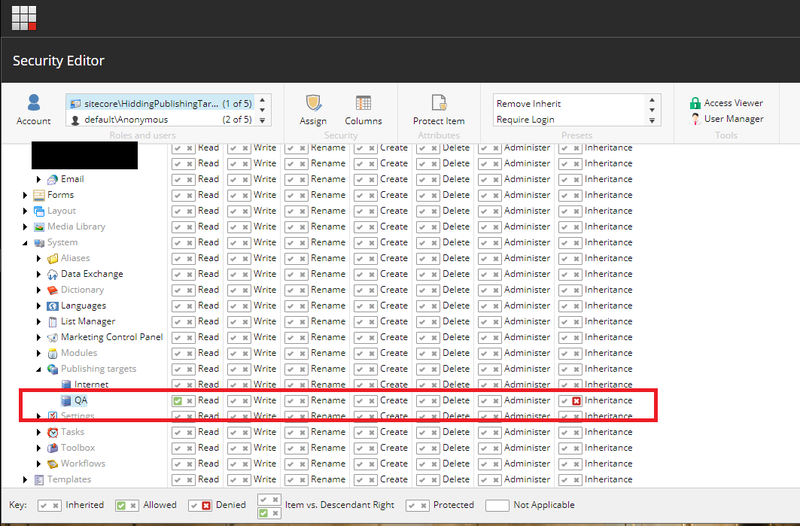 User with this role won’t have either “Read” or “Write” permissions which is what we wanted to achieve here. To check and validate whether changes are also effectively applied for this role, you can open Access Viewer. Again select desired role and navigate to your Publishing target in content tree on the right side of the screen. You will see that permissions should be applied. 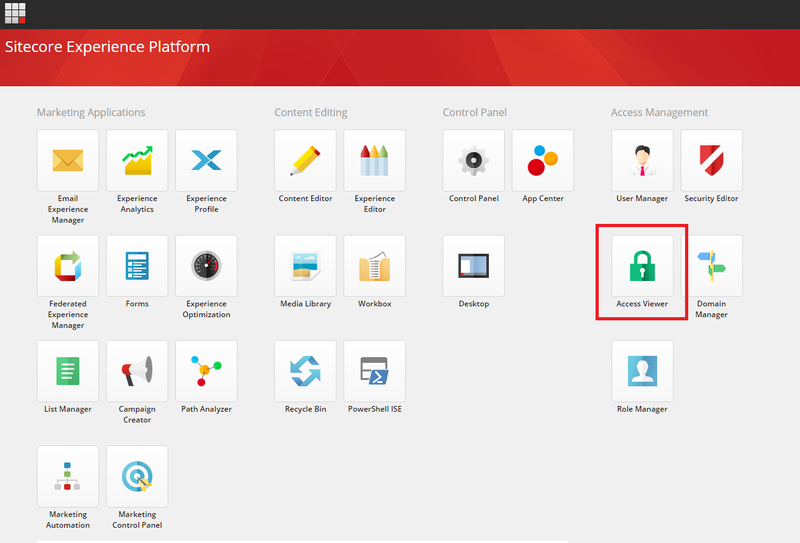 Let’s take a look how permissions are applied directly in Sitecore. Best is to see it with a user. 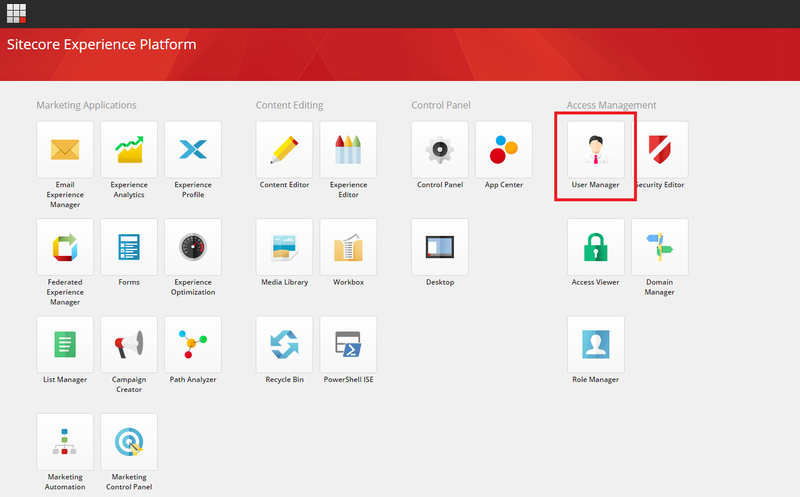 To create a user, you need to open User Manager. 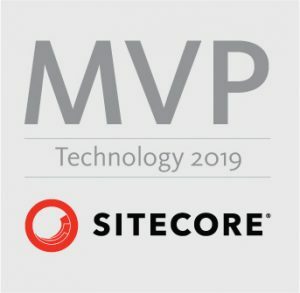 Seems everything is set so let’s hop into Sitecore. 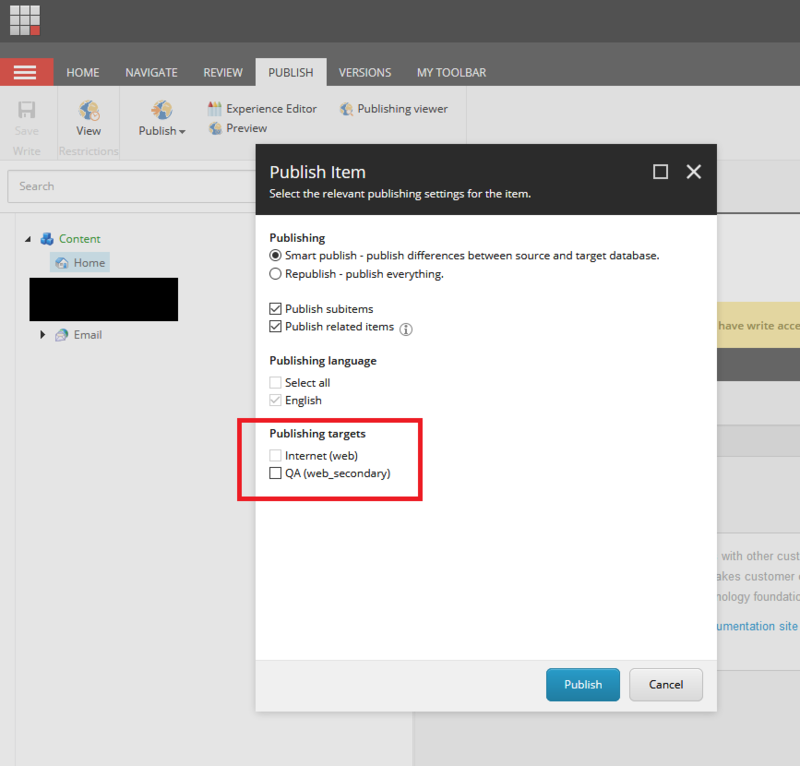 In the beginning of this post, I mentioned there is possibility to disable or even completely hide publishing targets. Step by step guide above (chapters 1-5) showed you how to completely hide publishing target. We broke “Inheritance” permissions for this and effectively role lost “Read” permissions by this action. In oppose “Write” permissions on publishing targets enable / disable checking publishing target. 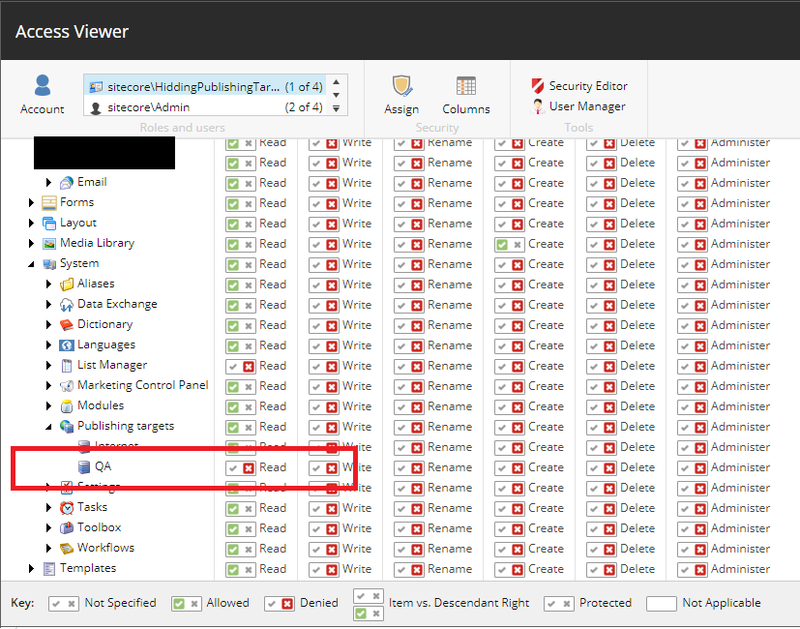 “Read” permissions on publishing targets show / hide them. “Write” permissions on publishing targets enable / disable them. Let’s quick play around these settings to showcase it. Let’s leave “Write” permissions as they are. Do not forget that “Inheritance” permission are denied and “Read” permissions are still allowed.